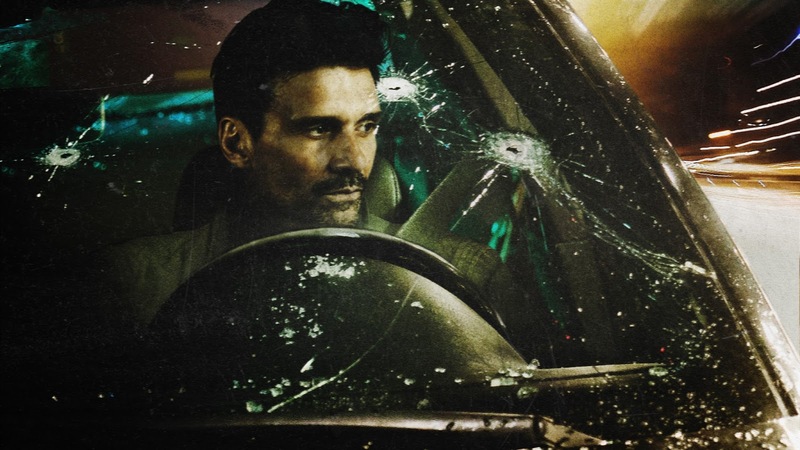 Netflix has unveiled a new image from director Jeremy Rush's upcoming WHEELMAN, starring Frank Grillo, Garrett Dillahunt, and Caitlin Carmichael. It will launch exclusively on Netflix on October 20th. Frank Grillo (Kingdom, Captain America: Civil War) stars as the wheelman, a getaway driver thrust into a high stakes race-to-survive after a bank robbery goes terribly wrong. With a car full of money and his family on the line, the clock is ticking to figure out who double-crossed him and the only person he can trust... his fourteen-year-old daughter. All reasons to think fast and drive faster. Wheelman was written and directed by Jeremy Rush. Frank Grillo, Joe Carnahan (The Grey, The A-Team), and The Solution Group's Myles Nestel (The November Man, Machete) serve as producers. J. Todd Harris, Chady Mattar, and Scott Silver serve as executive producers.